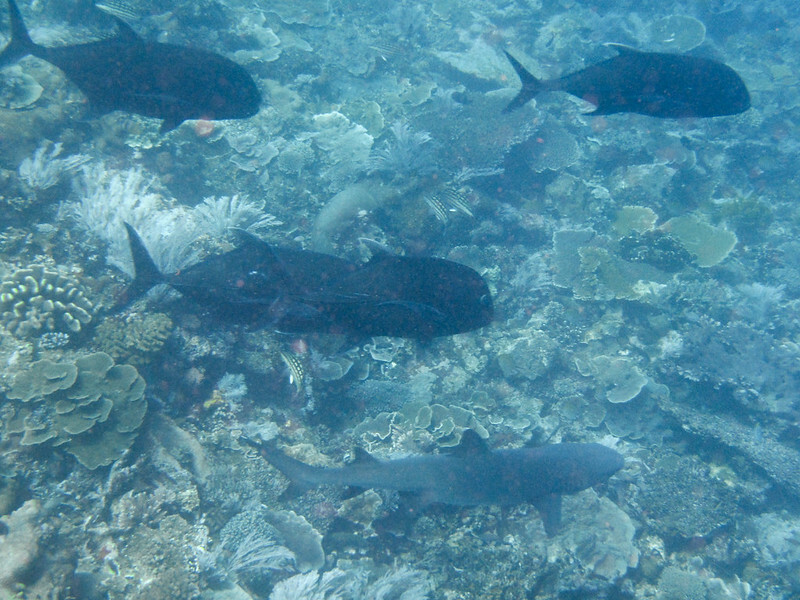 Our snorkeling guide advised us to stay away from the current. The water was cooler than the Gulf of Thailand as we paddled towards the shallow reefs by the beach. I immediately headed towards the shallow rocky area, because my shark lover friend Angela had told me that’s where you can find them. 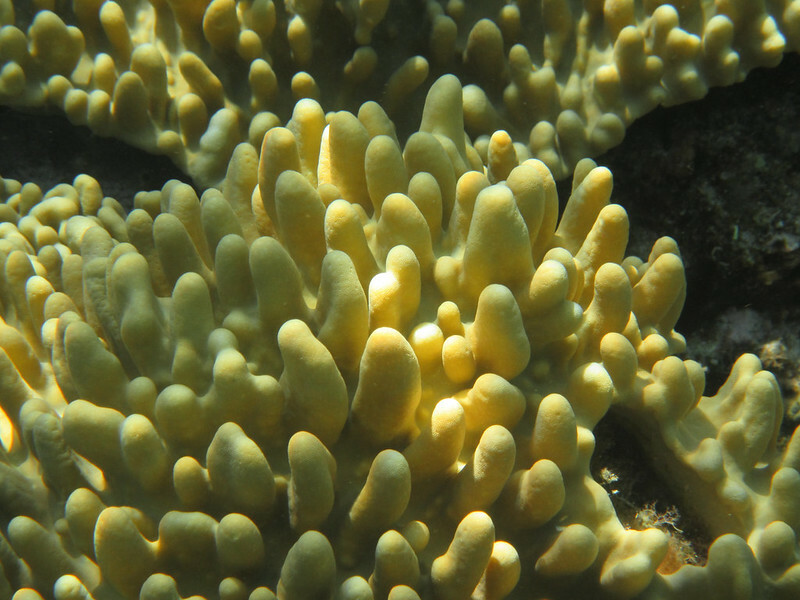 While the others floated above the drop-off, we made our way around the coral reef. A shy Blacktip swam closer to me before shooting off somewhere after I flailed around trying to get N’s attention. 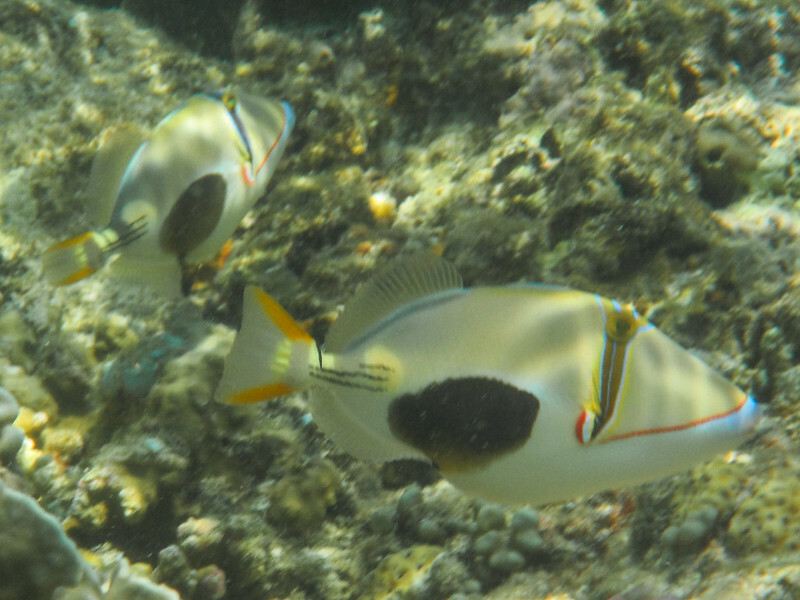 Schools of Picasso triggerfish floated above the corals before quickly swimming away from me. By the time we finished and got back to the boat, the two German boys were already back, the blonde boy’s skin already red and sunburnt. N talked to one of them about where they were from (Frankfurt) and what they did for a living (IT project management) and I walked away to dry off in the sun because they were geeking out about finance stuff. 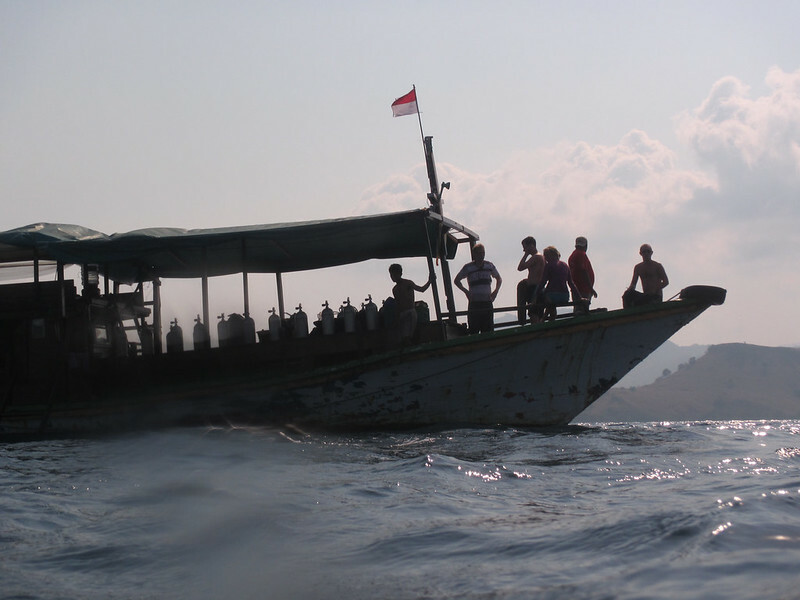 We climbed back onto the boat and made our way to the next spot, Batu Batong, which was a small rock reef protruding out of the water. We were again warned about strong currents before we jumped in. Oh the water was cold, and I regretted not taking up the dive operator’s suggestion of wearing a wetsuit. We kept our bodies moving to stay warm. This place was gorgeous. 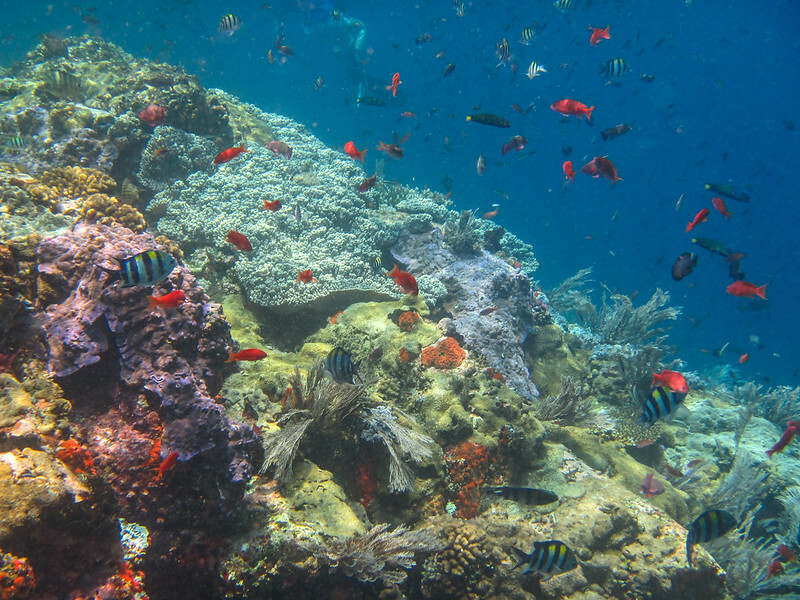 Brightly-colored corals and plants lined the sharply-sloping reef, and tons of fish — small, medium and huge — swam leisurely back and forth. 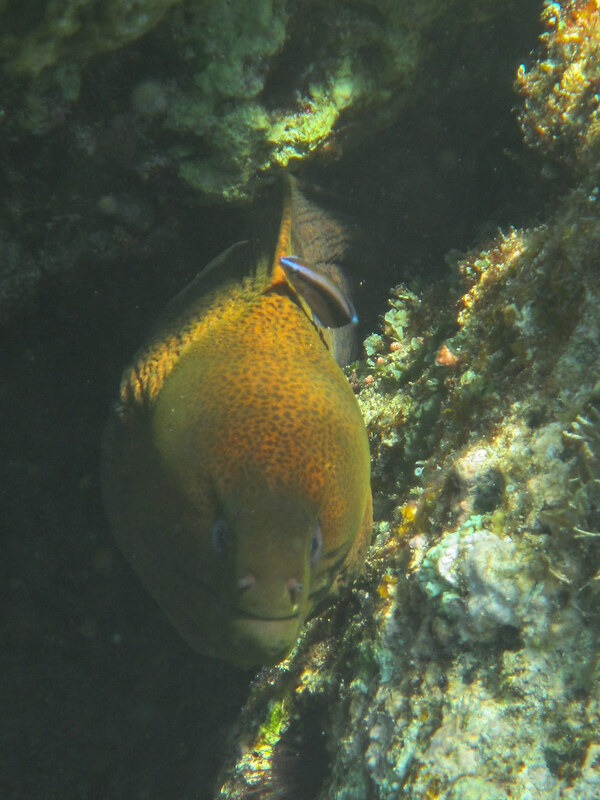 I was so impressed that I didn’t look down to where the divers were for a while, until I did and found several huge fish slicing through the water like ominous submarines, following a small reef shark. These things were so big they scared me more than the sharks did. 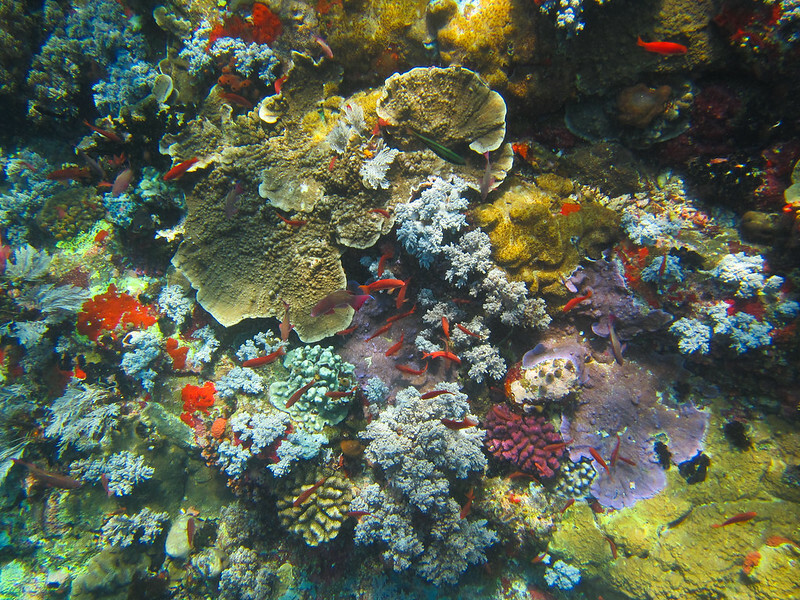 Batu Batong with its corals and fish. 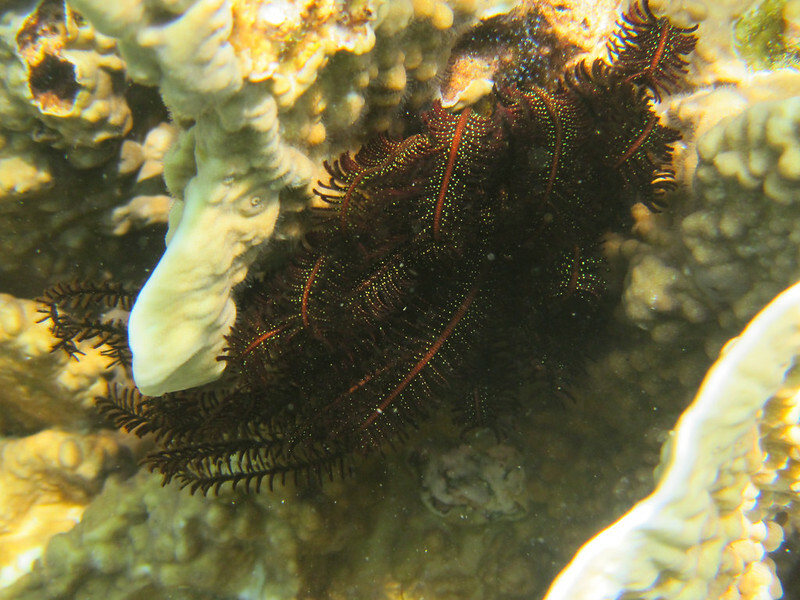 Beautiful but these things pack a mean sting, as I would find out later in Papua. 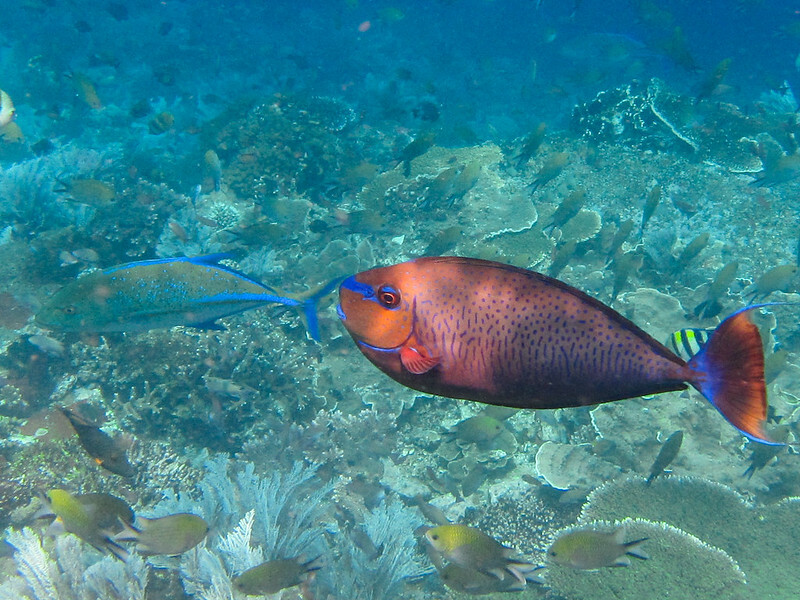 Bigger fish swam back and forth in the deeper part of the reef. 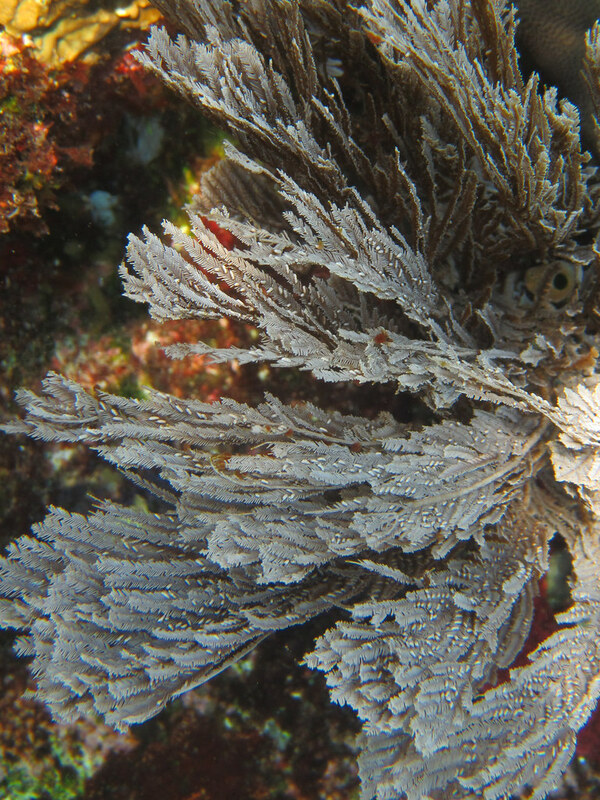 A view of the reef wall. Huge fish hunting with a juvenile blacktip reef shark. 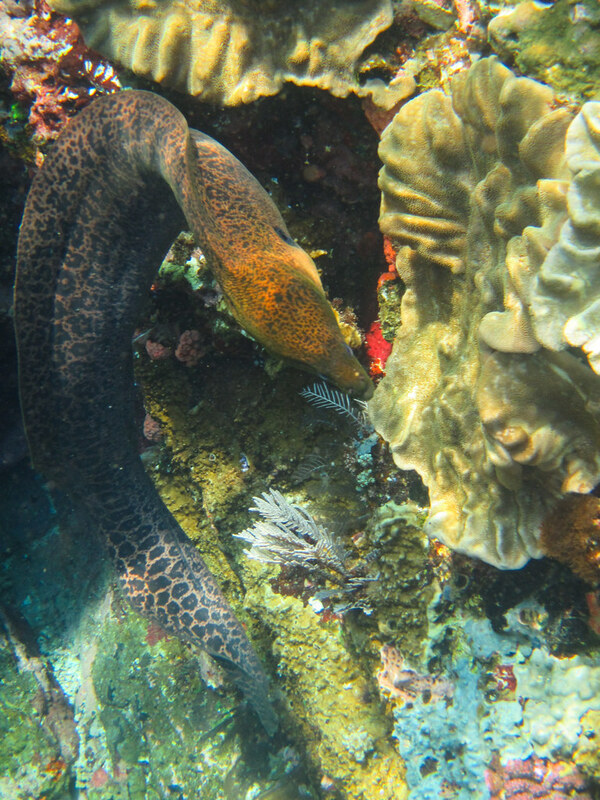 A moray eel swimming out of its hiding spot. 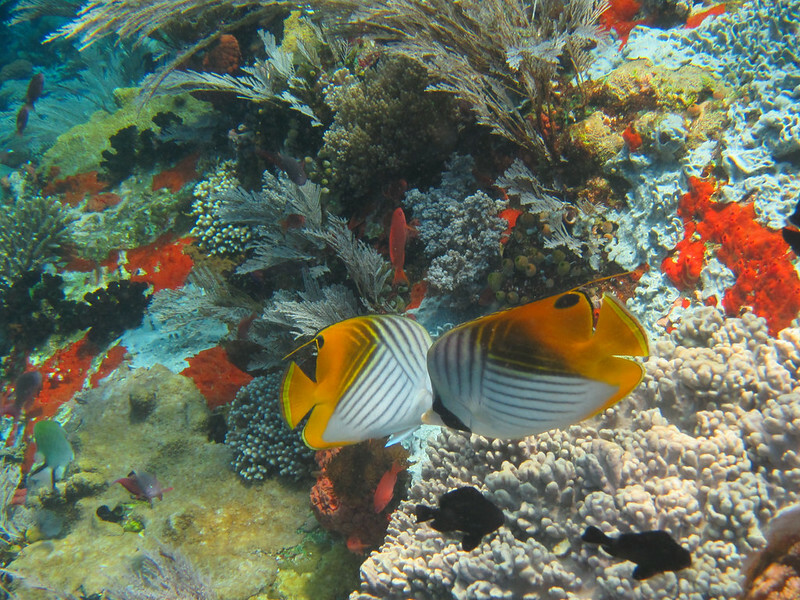 Butterflyfish looking for food in pairs. 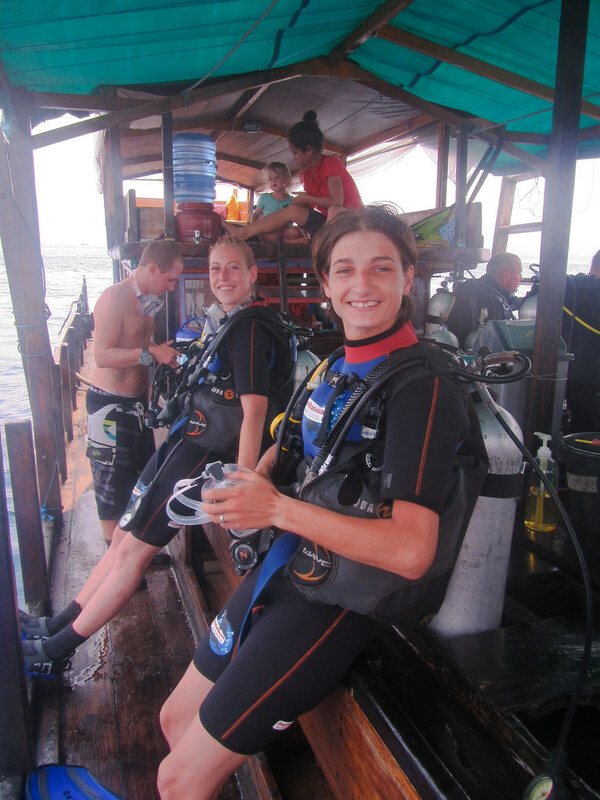 Emily and Kirsty came up from their dive telling us that they got to see multiple sharks, and they were swept up in a huge school of fish. 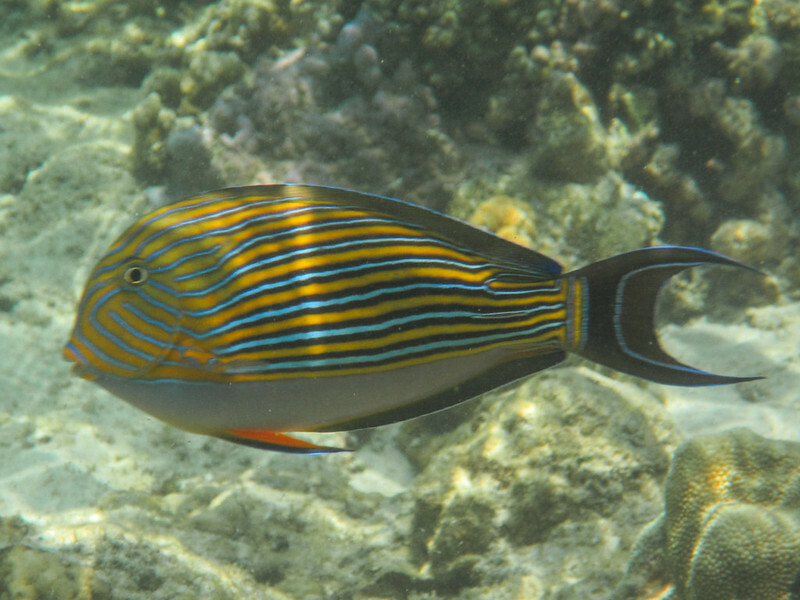 I guess that’s why divers deal with the cumbersome gear and the training to be able to engage in the activity; instead of a snorkeler who floats on the surface of the water looking down on the marine life, the divers are right up in there with the marine life. Up close and personal. 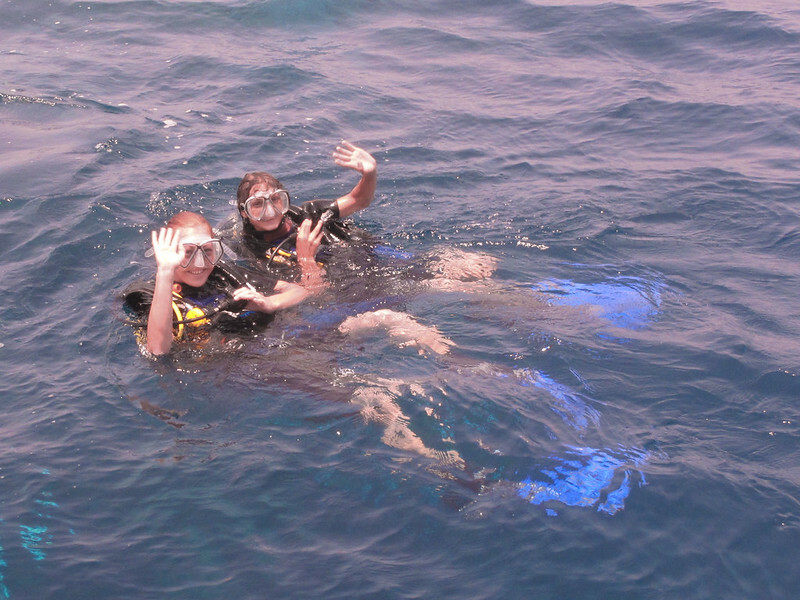 Our diving friends heading out into the deep. 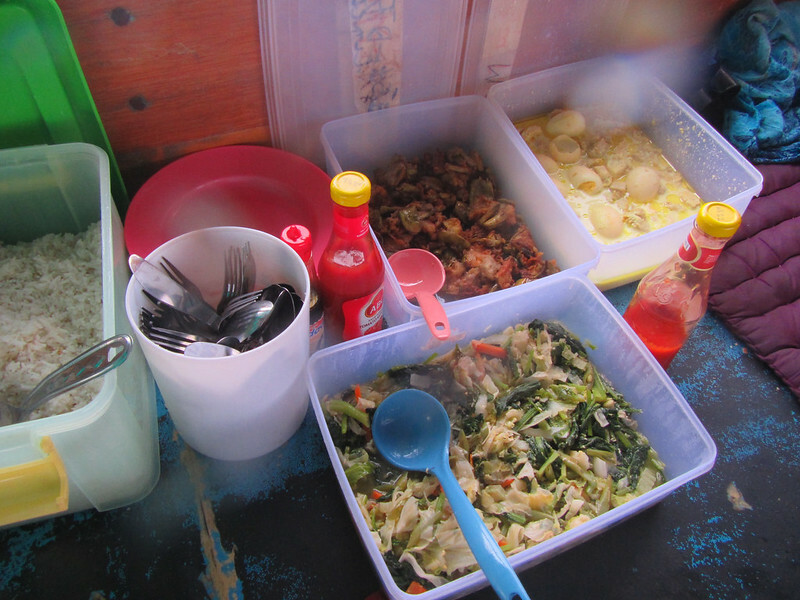 Lunch was set out for us by the time we got back on the boat. 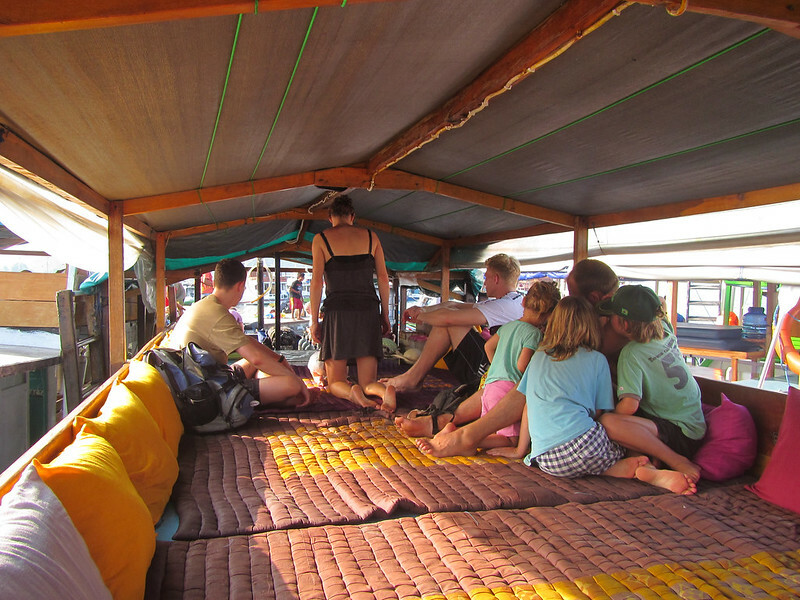 We filled our plates with egg and chicken curry, rice and vegetables and settled into the back of the boat, which by that time had become our little corner. The cookie crumbs from the Swiss family had crept down to the back of the boat where we sat. 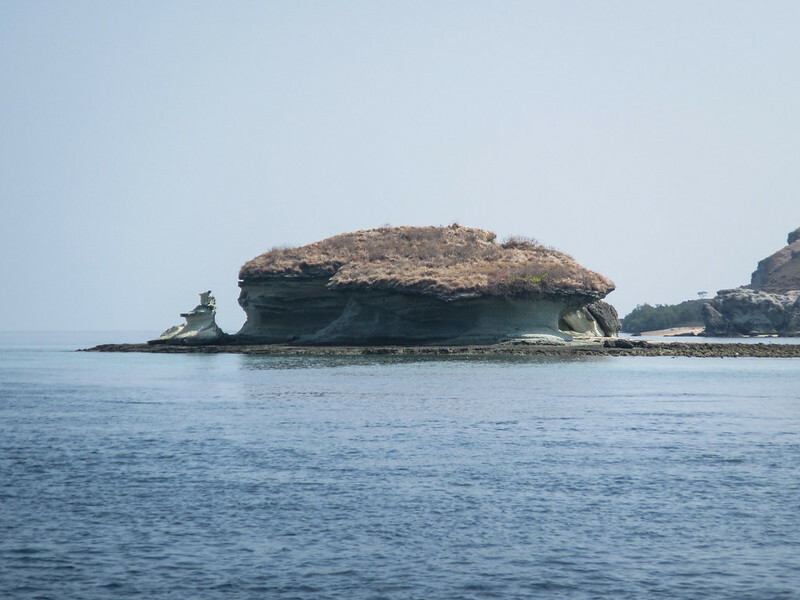 We kicked them aside and sat in a sunny raised alcove and ate our lunch as the boat raised anchor and headed out again towards our final dive spot: the highly-anticipated Manta Point. Manta rays? This was one thing we didn’t expect to be able to see. But the dive operator salesman told us there was a 99% chance of seeing them, so this was a big part of the reason why we were on this boat. Without much time to digest, we were called out to dive in. 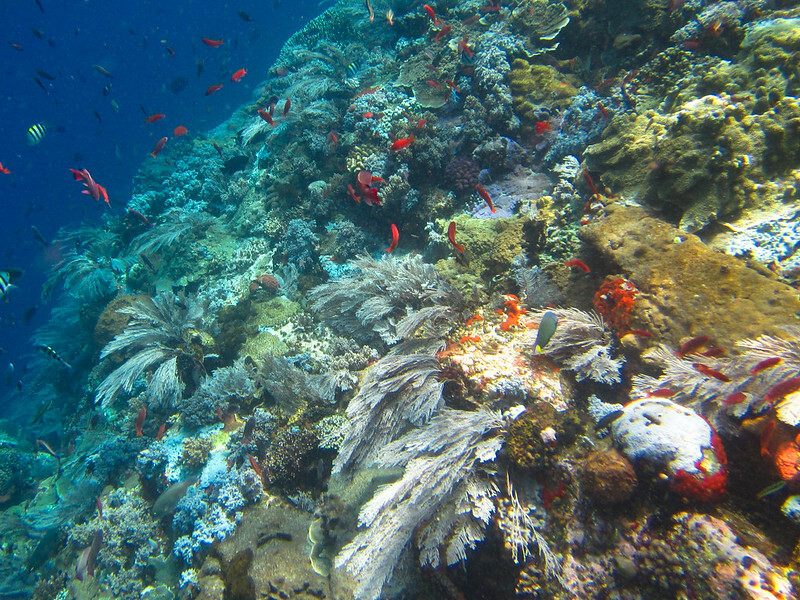 This would be a drift dive, where the currents carried the divers through a pretty big sandy-bottomed area. The snorkelers were told to stick close together with our guide and with each other, and we all jumped in, screamed about the coldness of the water and started paddling. My eyes desperately searched the sand while we paddled and got bounced up and down in the choppy water. It felt like we were being sloshed around on the delicate cycle of a washing machine. 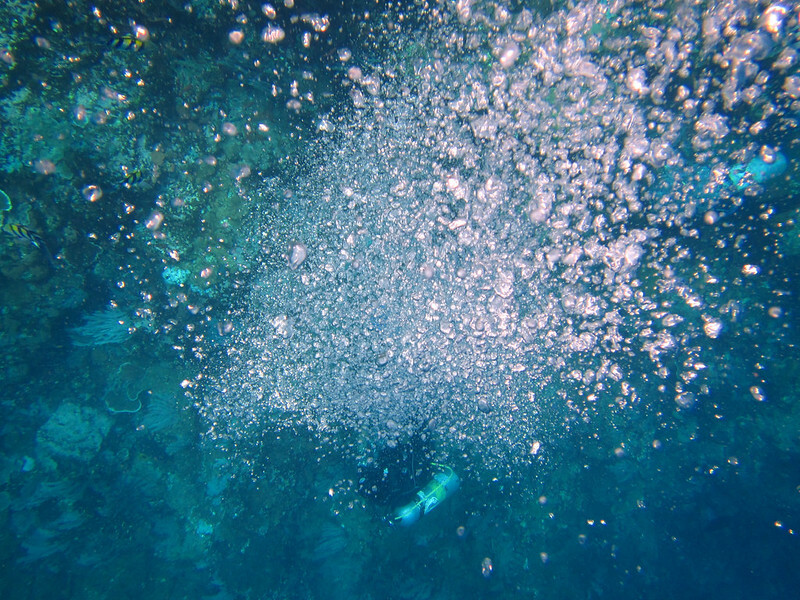 Adding to this, my goggles kept fogging up because I declined getting them washed with soap, and I regretted it as I scoured the surface of the sandy bottom for signs of life. I had gotten into the water with low expectations, and we followed our guide mentally prepared to not see anything. But today was our lucky day. The guide screamed, “Manta!! !” and we all dunked our heads under the water and swiveled our heads around. 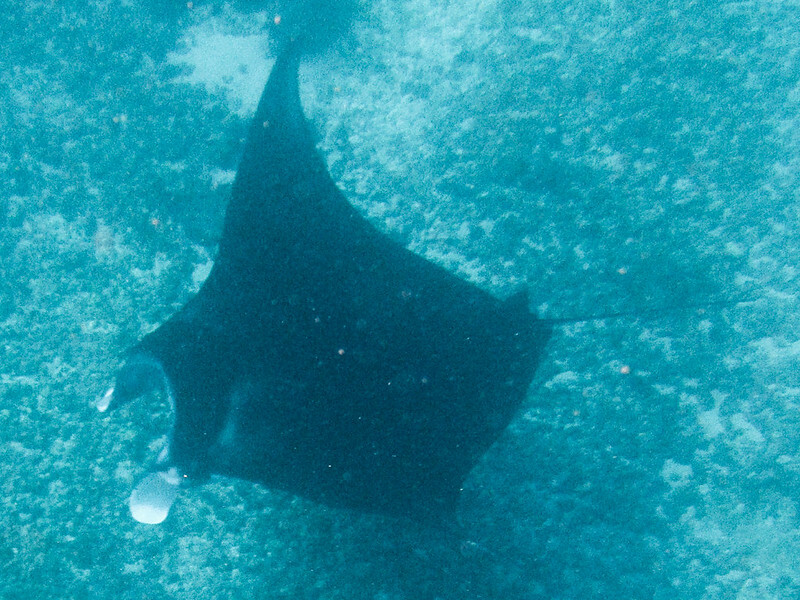 A huge black Manta Ray glided underneath us like a stealth bomber and we all nodded and gave each other the thumbs up like people do when they can’t vocally exclaim their excitement. We were thrown up and down on the water as we spotted ten more, gliding this way and that. N was so moved she would be talking about this for the next few weeks. That’s nice. Good job putting your clients at ease. We sat rocking for another 30 minutes in silence in the middle of the ocean while the Indonesian staff walked urgently to and from the engine “room” shouting at each other. The engine came to life in a huge roar and then died a minute later, leading to more scurrying about. Almost everyone was passed out from the long day. When the engine came on and stayed on, I closed my eyes again and drifted off until we arrived back on shore. Herbert and his colleagues were the first to get off the boat, and walked off without making sure we were all safely off which I thought was unprofessional. Our suspicions were later confirmed after we had showered and met up with the girls for dinner. They told us about how this dive joint had horrible reviews on TripAdvisor concerning safety. When the girls returned to the dive operator to ask for a refund so they could go elsewhere, they wouldn’t give it to them hence why they ended up going on this trip. 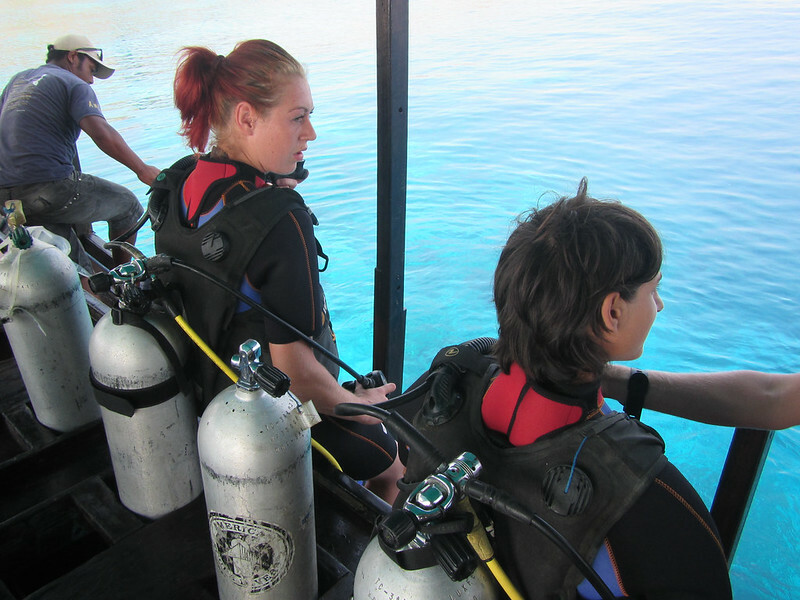 They had insisted beforehand that a dive instructor accompany them as their personal guide, which was smart on their part. 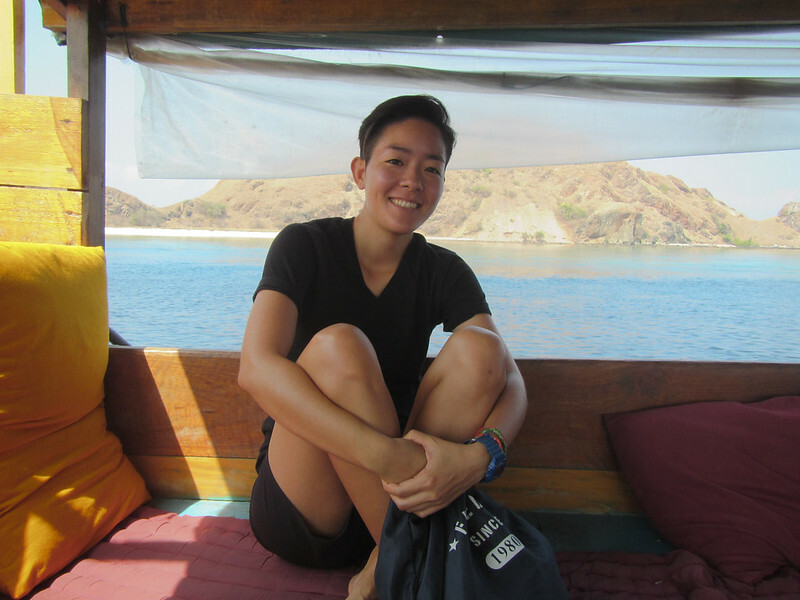 We were totally oblivious to all of this because the internet is utter crap in Labuan Bajo, and the girls didn’t want to worry us with these facts until we were safely off of the boat. We couldn’t complain though. 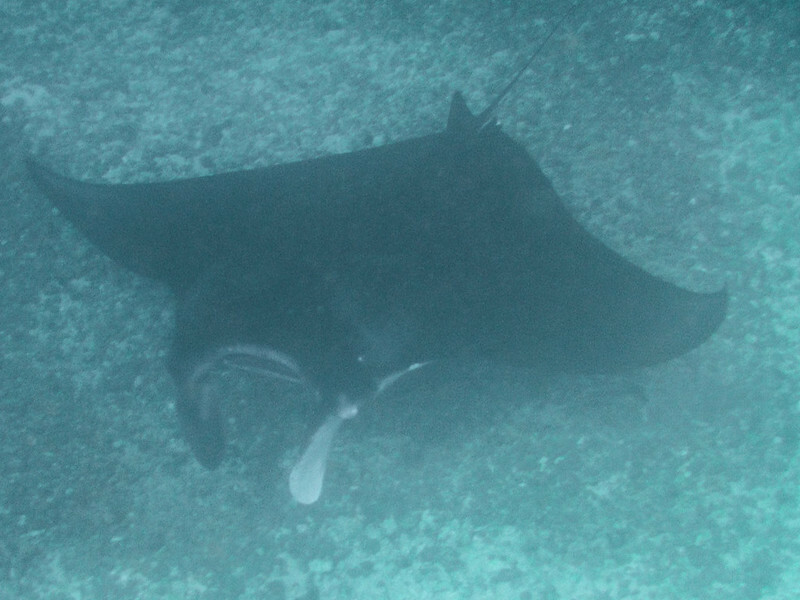 We got to explore some pretty awesome reefs, see a bunch of manta rays and meet these Brits. All in all it was a good day. 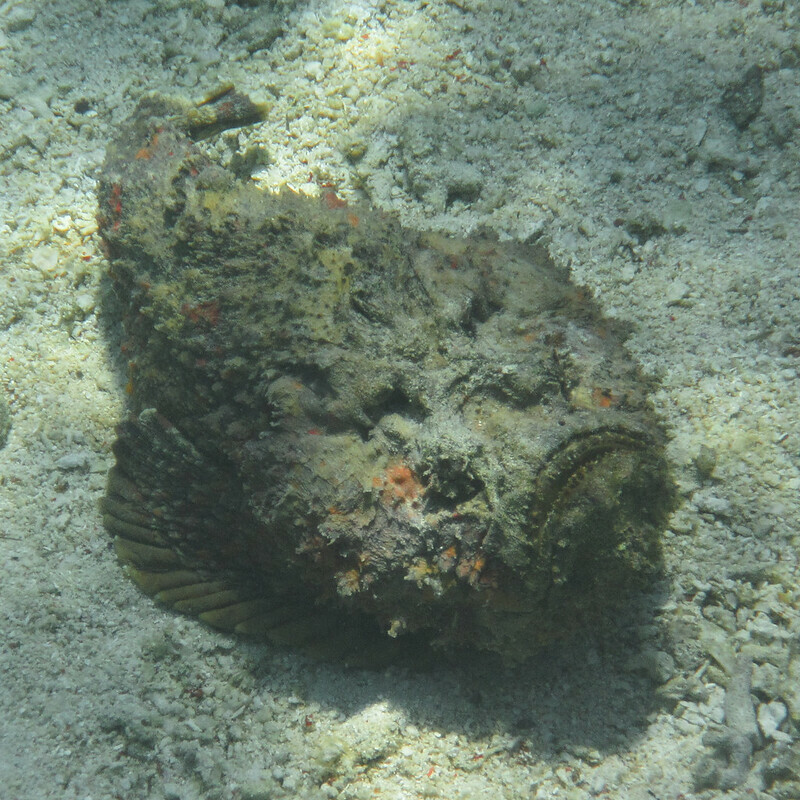 For more photos from Labuan Bajo, check out our Flickr album.